How to Have Effective Business Meeting? Business meetings are essential. You need to attend informal and formal meetings. Your meeting should be shaped on different business goals. 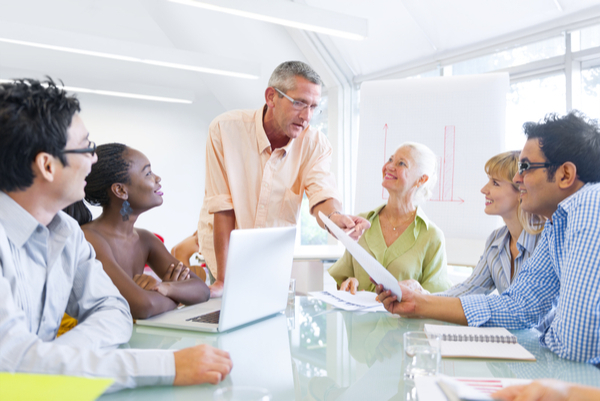 In a meeting, you can have long brainstorming sessions or short debriefs. You shouldn’t expect good results if your meeting is loosely coordinated and poorly planned. If not, the meeting will only become routine chore for attendees. When having a business meeting, you should make sure that within a set time limit, you need to be able to achieve specific goals. You need to make sure that you are able to spend time in a highly productive manner. If you want to have an effective business meeting, you need to have a strong goal. It means that the goal should become the primary objective for your meeting purposes. It means that there should be time allocation and discussion points. Participants should have a strong desire on how they should contribute. It is not a good thing if people creatively try to avoid meetings, because it means that the meeting isn’t something that’s interesting to participate in. There should also be clear attendee list and you should know who should joint this session. If possible, each person should be given an allocated time slot. You may need to quite cautious about who should attend the meeting. It is important that the attendee can give meaningful contribution that’s useful to other attendees. If you want your time to be effective, it is important you are fully disciplined. It’s not a good thing if attendees have the habit of being late. If people are late, they could take any meeting session for granted. You should anticipate possible heated discussion and debate during the meeting, which could make the meeting longer than usual. Again, it means that you need to honor the proper time allocation for each participant. You should be able to establish authority and order during the meeting session. There should be a chairperson who guides and leads all the discussions. The chairperson should be strict enough, because without proper control, there will be chaos as people will talk at the same time. The meeting should be made exciting, such as having a new business agenda. The chairperson should be highly respected and he needs to be well informed about the overall topics in the industry. The chairperson should be open to any contribution made by attendee. They need to have a relatively high level of objectivity. They should exercise diplomacy and tact when dealing with various people in meeting. The meeting should result in clear conclusion and action plan. However, the situation may not be so easy, because it is not always possible for people to agree. It is possible that amendments will need to made, so the agreement will be more accepted by everyone. In the end, you should make sure that your meeting will have a contribution to your business growth. It is an activity that needs to be performed by any kind of business.